The Music Modernization Act updates music copyright laws. There were some "Good Vibrations" at 1600 Pennsylvania Avenue on Thursday. Musicians including Mike Love from the Beach Boys, Kid Rock, John Rich of Big and Rich, and Sam Moore of Sam and Dave came to the White House for the signing of a bill that substantially changes the way musicians are compensated for their work played on digital streaming services such as Spotify and Pandora. “Certain entertainers have been taken advantage for years, but no longer — thanks to Trump. Can you believe it?” President Trump said after signing the Music Modernization Act. 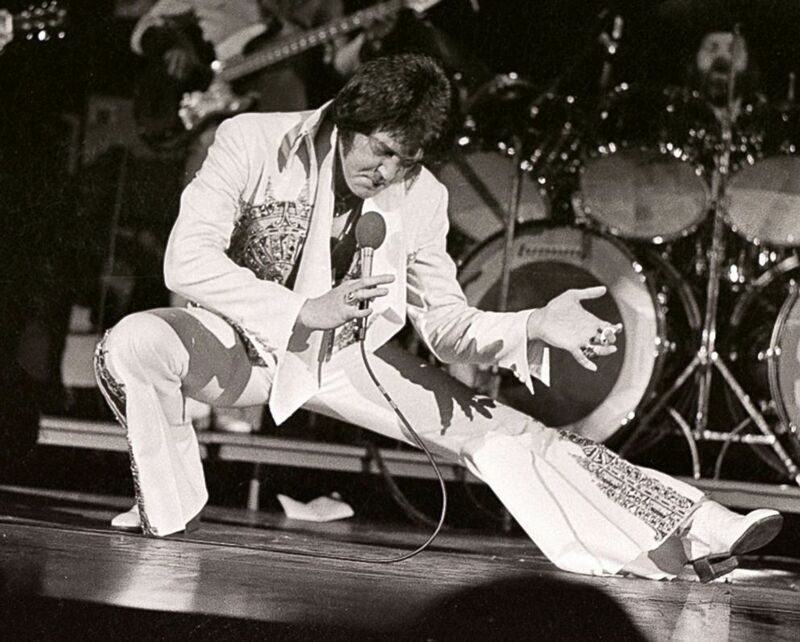 (Ronald C. Modra/ Getty Images) Elvis Presley performs in concert at the Milwaukee Arena, April 27, 1977, in Milwaukee, Wisconsin. Sam Moore called the bill "historic,” saying Trump got done what other presidents didn't. 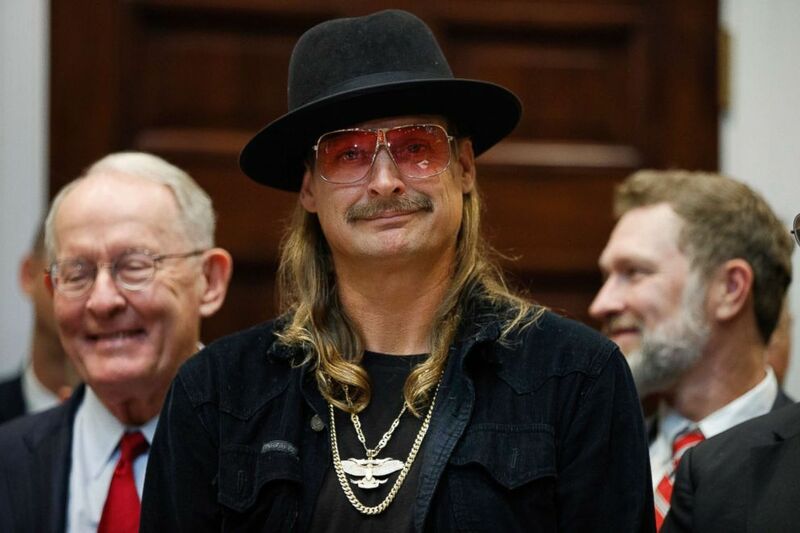 (Evan Vucci/AP) Musician Kid Rock listens as President Donald Trump speaks during a signing ceremony for the "Orrin G. Hatch-Bob Goodlatte Music Modernization Act," in the Roosevelt Room of the White House, Oct. 11, 2018. "Uh oh, I got the mic," joked Kid Rock, a Trump supporter who has been to the White House before to dine with the president. "A big part of this bill that I'm a huge fan of is for the unsung songwriters out there," Kid Rock said. The legislation, updating music copyright law, combines the Allocation for Music Producers Act, which provides royalties for music producers; the CLASSICS Act, which provides royalties for songs created before 1972 from digital streaming services; and a watered-down Fair Play, Fair Pay Act, which does not include the provision that broadcast radio should pay for songs. 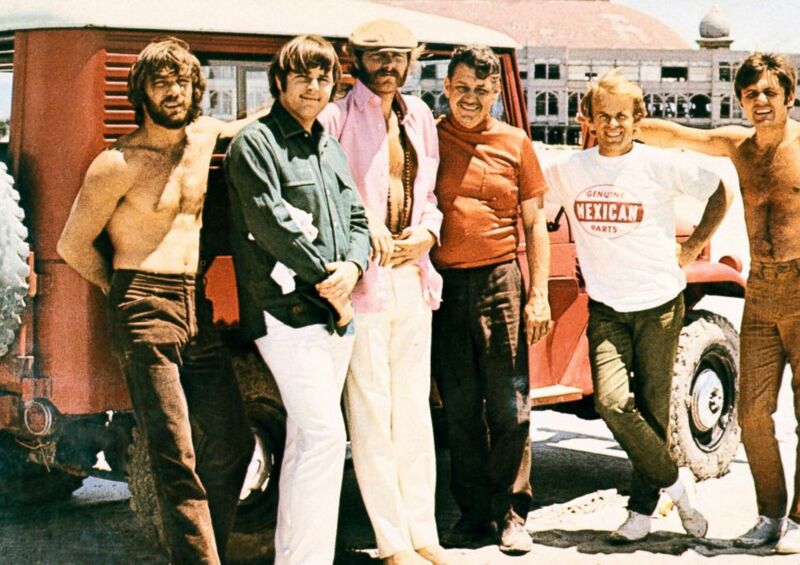 (Redferns/Getty Images) Murray Wilson and the Beach Boys, from left, Dennis Wilson, Carl Wilson, Mike Love, Al Jardine and Bruce Johnston. "With the president's signature Thursday, the Music Modernization Act is officially the law of the land. As we celebrate the harmony and unity that got us here, we applaud the efforts of the thousands of performers, songwriters, and studio professionals who rallied for historic change to ensure all music creators are compensated fairly when their work is used by digital and satellite music services," Neil Portnow, President and CEO of the Recording Academy said in a statement. "We thank the members of Congress who championed this issue throughout the past several years to bring music law into the 21st century."